Welcome to our Weekend Roundup of all the fun, free and cheap things to do in Chicago for the weekend of October 13-14, 2018. There is a lot to do this fall in the Chicago area and we are glad to bring it to you as your #1 source for freebie and free events to stretch your wallet and enjoy the greatest city in the world, Chicago! Makes plans to see some cool buildings at the Chicago Architecture Foundation’s 2018 Open House Chicago this weekend — this is a free public event that offers behind-the-scenes access to 200 buildings across Chicago. 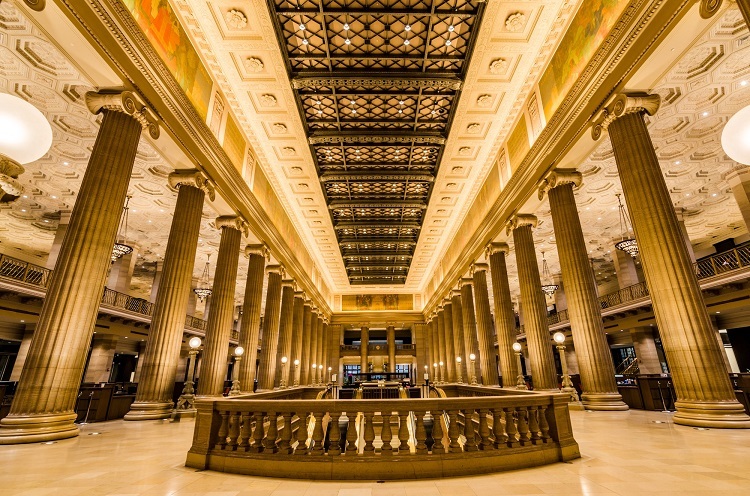 Explore the hidden gems and architectural treasures of Chicago’s neighborhoods—all for free. October 13-14, 2018. Explore the hidden gems and architectural treasures of Chicago’s diverse neighborhoods—all for free. Tour this stately 30-room mansion at the corner of Pleasant and Home, one of the earliest and best examples of the Prairie Style. Some of the fanciest and most ridiculous Bloody Marys made from local Chicago establishments face off to see who makes the best bloody in town. Bloody Mary Fest, the annual celebration of Sunday Funday and the iconic brunch cocktail that is the Bloody Mary, returns to Theater on the Lake (2401 N. Lakeshore Drive) on Sunday, October 14th with an expanded format. This is the sixth installment of Bloody Mary Fest features Chicago’s Bloody Mary Competition during the Main Event, which takes place from Noon until 4:00 p.m. Sixty-four establishments participated in the first five Chicago’s Bloody Mary Competitions since its inception in 2014. Ten participants representing various Chicago neighborhoods will participate in the sixth installment of Chicago’s Bloody Mary Competition. In addition to sampling Bloody Mary’s, guests will be able to sample and redeem drink tickets from a selection of beers and specialty brunch libations from brands including: Modelo, Ballast Point, Truly Spiked & Sparkling, Maker’s Mark and Exotico Tequila. Not Free but Fun! Come check out the newest interactive Pop-Up Experience to hit Chicago, Jack’s Pumpkin Pop-Up, which is located on over 2 acres in Goose Island. For one month only, join in for a larger than life, outdoor, multi-sensory adventure in the heart of Chicago. Spend an autumn night outside making memories without having to travel to the Suburbs while you get lost in Chicago’s largest corn maze! Come on out with the kids or loved ones and enjoy some harvest fun in the heart of the city as Lincoln Park Zoo embraces autumn in Chicago with their fourth annual Fall Fest. 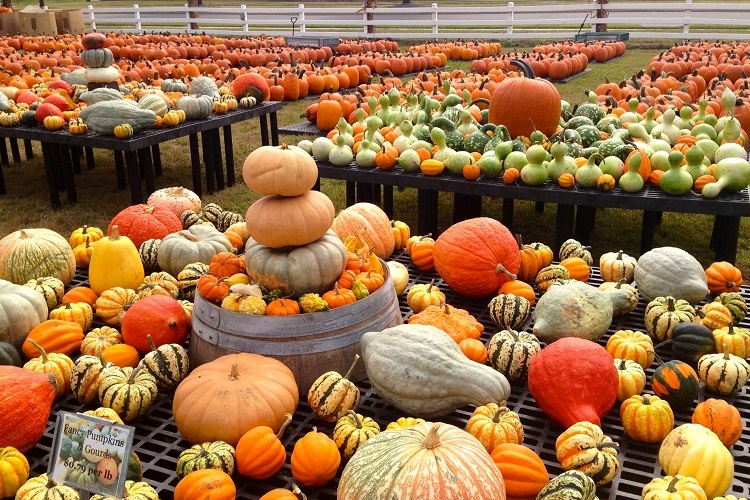 This free, family-friendly celebration lets guests experience harvest fun in the heart of the city, from picking the perfect pumpkin to clambering up a hay mountain. This year’s festival features ticketed attractions throughout the zoo including: a Ferris wheel, corn maze, corn pool, fun slide, inflatable obstacle course and more. Fall Fest also includes animal chats, musical entertainment, a pumpkin patch, professional pumpkin carvers, and fall-themed enrichment for the animals! Runs from Fridays–Sundays, September 28-October 28, 2018 – 10 a.m.-5 p.m. New this year: Fall Fest is open until 8 p.m. each Saturday night! Tickets for rides can be purchased at Lincoln Park Zoo ($3 for one ticket, $27 for 10, $51 for 20) Pumpkins will be available for sale daily September 28-October 31, 10 a.m.-5 p.m. Location: Lincoln Park Zoo, 2001 N Clark St, (312) 742-2000. 10 a.m.-5 p.m.
Are you a Vegan? Come join in for VeganMania, celebrating its 10th amazing year in Chicago this weekend, October 13, 2018! There is an exciting lineup of speakers, a LIVE Podcast, cooking demos, vegan food court, live music, kids area and a space full of the best local and national cruelty-free vendors. and don’t forget about all the food samples! Everyone from curious omnivores to longtime vegans are welcome. VeganMania is full of information about protecting animals, the environment and your health plus vegan food samples, a giant food court! Fresh off the premiere of MARVELOCITY and a signing at New York Comic Con, Alex Ross will be appearing for a signing at Chicago Comics this Saturday, October 13. Alex Ross is generally regarded as one of the world’s most preeminent and well-respected comic book artists, and his latest book release brings the heroes of the Marvel universe into dynamic life! Marvelocity includes more than 50 never-been-published sketches, working models and other preparatory art, and a 14-panel portfolio gallery of Marvel’s most beloved characters. It also includes a new 10-page story pitting Spider-Man against the Sinister Six written and illustrated by Ross! It’s free and you can get a single item signed by Alex Ross! Chicago Comics is located at 3244 N. Clark Street, Chicago, IL 60657. The signing goes from 2PM to 5PM. The signing is free and will be a first-come, first-serve basis. 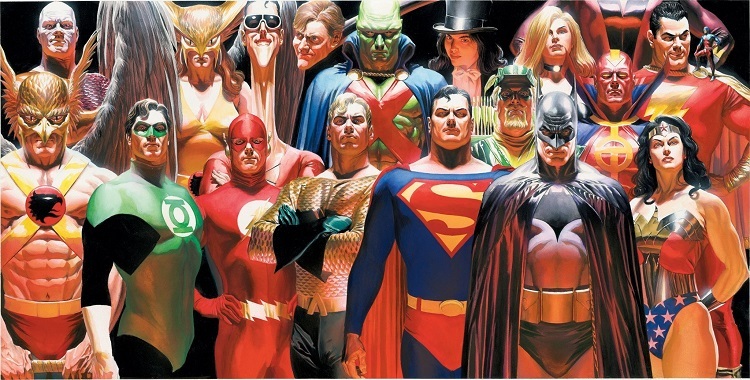 Each person can have one personal item signed by Alex Ross. If you buy MARVELOCITY, you will get a signed copy of the book PLUS two personal items signed. Due to a high volume of interest in the signing, Chicago Comics has decided to give out numbers for people who wish to line up for the signing. Starting at 12:30PM, fans can get a number and wait in line at Chicago Comics. Note that the number is not a ticket – it just holds your place in line. Harvest Festival at the North Park Village Nature Center on October 13th. Not free but fun, fun, fun: October 12-14 will be one of the last weekends to see the Midnight Circus perform this season in Chicago. Midnight Circus in the Parks is an eclectic ensemble of local Chicago-area artists with a shared vision that live performance in tents in local parks has the power to engage and inspire our audience, our community, and our world. So they offer performances in a big top tent in various Chicago parks each summer as part of the city’s “Night Out in the Parks” performance series. Born in 2007, Midnight Circus in the Parks brings an intimate, exciting, world-class circus to the heart of every community it plays. This weekend, they are at Oriole Park, 5430 N. Olcott and tickets are $22 and available here. MORE INFO: Check the Midnight Circus website. The 54th Chicago International Film Festival runs Oct. 10-21, 2018 at the AMC River East 21, 322 E. Illinois St., and features more than 150 films, with a vast diversity of offerings for $8-$20, with numerous competitive categories and several highlight programs such as Black Perspectives, Cinemas of the Americas, International Comedy, Spotlight: Italy, Women in Cinema, Out-Look, After Dark and the City & State program (showcasing films made in Chicago and throughout Illinois.) The complete Festival Schedule will be announced September 17, 2018. Festival passes ($110 – $270) are currently on sale. Individual tickets ($8 to $20). Discounted parking is available at AMC River East 21 (322 E. Illinois Street). For more information, visit www.chicagofilmfestival.com or call 312-683-0121. Brad some friends, start at Aliveone, and venture to various bars/music venues along Halsted’s “musical mile” in Lincoln Park including AliveOne, Tonic Room, and The Store for live local bands, comedy shows, DJs, and drink specials at each location. Cost: No cover Thursday-Saturday, October 11-13. Sign up here for our daily Chicago email and be the first to get all the free events and freebies as well as info on food/drink/fun in town.